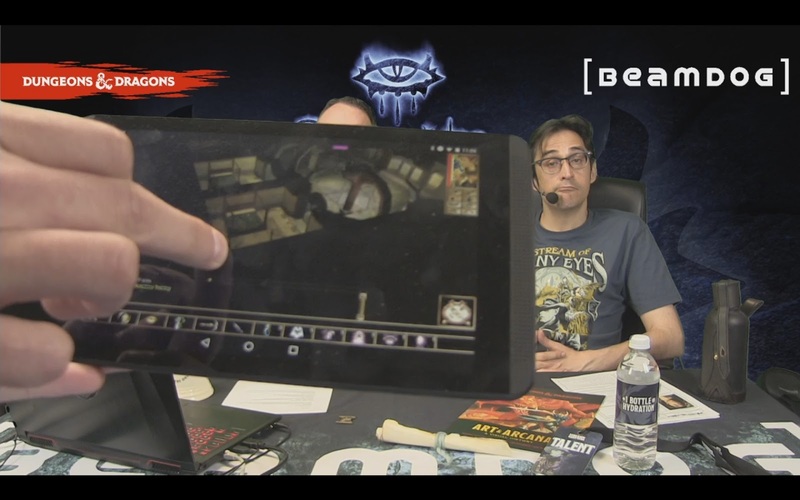 During today’s livestream Beamdog CEO Trent Oster was joined by Mark Meer, voice of Commander Shepard, Rasaad yn Bashir, Baeloth the Entertainer, Alveus Malcanter, and many other characters. 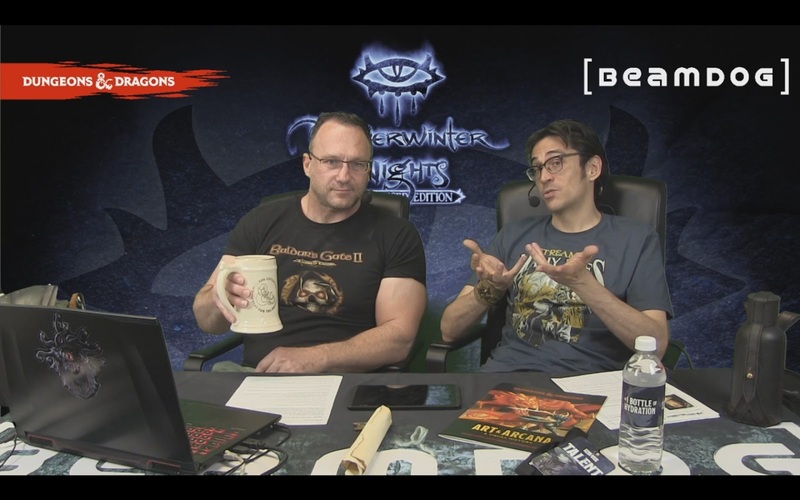 Trent and Mark shared Stream of Many Eyes stories and the latest news on Neverwinter Nights: Enhanced Edition. 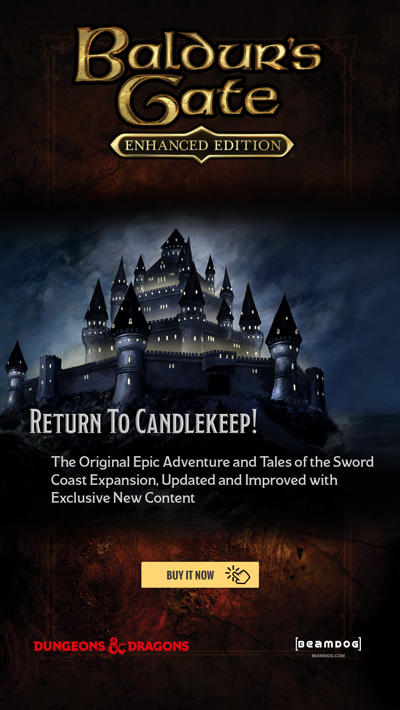 Neverwinter Nights: Enhanced Edition on tablets is in the works! There’s still some work to do to make it possible, so stay tuned for more news! We’re looking into ways to have a list of the best mods available for download. Sign up for our newsletter to get all the information about NWN:EE on tablets first! Neverwinter Nights: Darkness over Daggerford is out on Steam and will come to Beamdog.com in the future! Learn about all the fantastic improvements put into Darkness over Daggerford by Ossian Studios here. We support Ossian Studios and want them to do well as they never got to make money from Darkness over Daggerford originally. 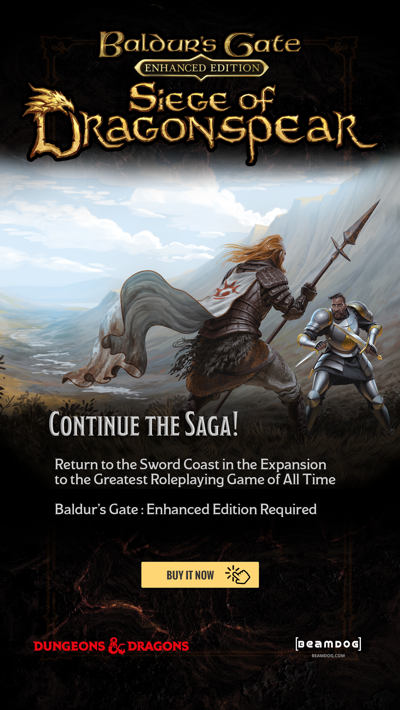 We’re working to support downloadable content on Beamdog.com. Hopefully it’ll happen fairly soon. Last week Minsc (Trent), Rasaad (Phil), Biff the Understudy (Lee), and Alveus Malcanter (Mark) took part in the Stream of Many Eyes. Thanks to Wizards of the Coast and all the people who came there, the event was truly epic! Check our Facebook and Twitter for all the photos from the stream. We’re working on the next development build for Neverwinter Nights: Enhanced Edition which will address many of the issues on 1.75, including area transition colours and DM interactivity issues with them, door highlights interfering with easily walking through them, chat panels not remembering their positioning, Premium Module crashing and working oddly in Multiplayer. We’re targeting next week as the build is not ready yet. Linux players, if the 2x UI scaling results in clicks not aligning with your cursor, open the nwn.ini file and enable Hardware Mouse to fix this issue. We urge players to submit bugs they encounter on our bug-tracking site. The better repro steps and more detail you can provide in your bug report (especially about Multiplayer bugs), the better chances to fix the appropriate bug will be. We plan to add the remaining official translations of Neverwinter Nights into NWN:EE. The best way to get a translation of NWN:EE into a new language is to volunteer as a translator here!